Institute of Governance and Public Affairs (IGPA) is established with the goals of conducting, disseminating and publishing research on current public issues in Indonesia.  IGPA tries to bring a multi-disciplinary approach to its research in order to better inform policy making and o ers both strategic thinking and operational solutions. The researches are carried out in conjuction with academic activities in Master in Public Policy and Administration (MPPA) Programme, Universitas Gadjah Mada (UGM) since its foundation in 2014. The combination of research and consulting services in IGPA’s activities is aimed at strengthening its capability to address diverse problems faced by the public sector today. The government and public organisations are increasingly facing complex issues and challenges. This particularly applies in Indonesia and most transitionary countries that are engaged in the thrust for democratic governance. Issues of poor public policy, low capacity of public servants and under-performed public organisations are among the challenges for creating good governance and strengthening the citizenry, and these challenges are vying for immediate answer and e ective solution. IGPA is established to meet the challenges by producing qualifed researches to be utilized by public policy makers. The objective is to promote evidence-based policies by providing first-hand reference to stakeholders in formulating, implementing and evaluating policies in accordance with the public interests. Hence, IGPA tries to disseminate creative, innovative and progressive ideas for public sector reform in Indonesia and beyond. To become a professional research centre focusing on the dynamics of public organisations, which offers policy solutions on citizenship and governance issues. IGPA also provides current academic reference on public organisations in Indonesia.